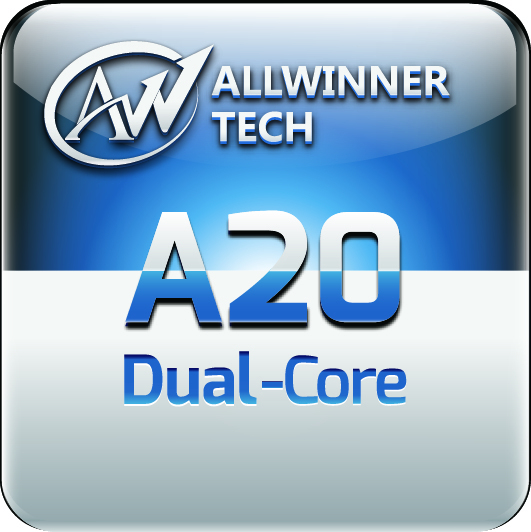 AllWinner announce their new A20 SoC: Here's what it can do! It's not very often we get to really go into depth about the ins and outs of products here at TTF, but this post is going to be one of those times. Today we've heard that AllWinner have announced a brand new System on Chip which they're sincerely hoping will find its way into a few of the plethora of devices which run Android these days. So with a bit of luck the company's brand new A20 SoC will turn up in a few tablets, the odd TV stick, but this won't be coming to phones because there's no radios on this particular model. 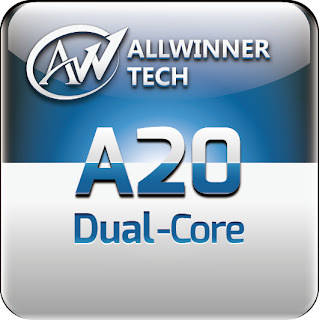 So what's inside the A20? Well the SoC is claiming to be the world's first dual-core ARM Cortex-A7 based SoC. This arrangement makes use of that Cortext-A7 CPU and it pairs it up with a dual-core GPU, in this case it's the Mali 400MP2. With a bit of luck that should be enough to keep H.264 2160p video playback going, or in a more normal condition that would mean 1080p video will play back at 30fps and 720p video can be encoded at 60fps! If you were wondering what version of Android we're looking at running on this SoC then AllWinner say in their specifications that the processor is designed to support both the 4.1 and 4.2 versions of Jelly Bean and it claims to be five times more energy efficient than the older generation whilst offering 50% better performance! The best thing is that this processor will probably be turning up in new tablets very soon, especially if they're based off of the old generation A10 SoC. The reason why they can arrive so soon is because this new arrangement has pin to pin compatibility with the older generation. To all intents and purposes this means the A10 can literally be swapped out for the A20 without any redesigning to be done, which sounds pretty sweet to us and it probably does for manufacturers too! For full details of this new SoC over at AllWinners website here!